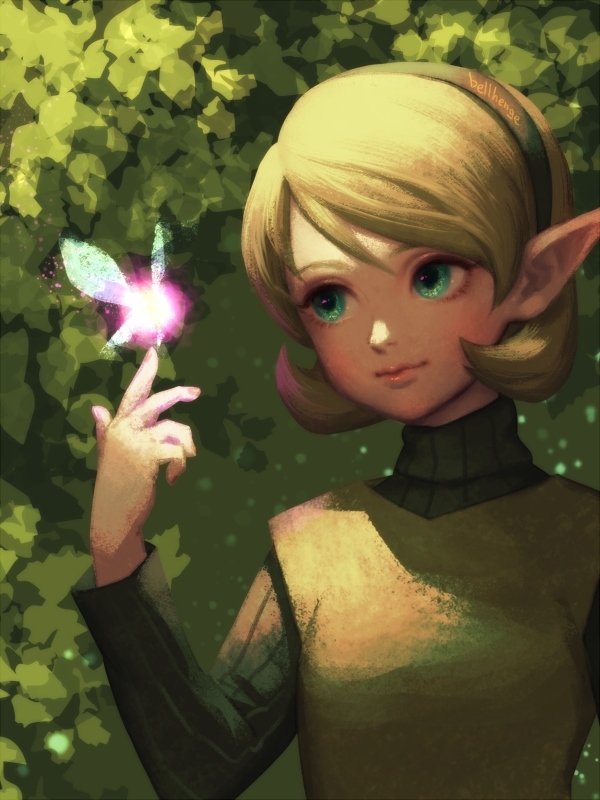 Saria’s main appeal comes from the “childhood friend” trope. She’s one of the first friendly faces you see in Ocarina of Time, and it’s clear that she’s the character with whom Link, as blank a slate as he is for the most part, has the most well-defined personal connection with. The childhood friend trope is such a powerful, widespread one because it’s something that pretty much all of us can relate to, even to someone as socially inept as myself. It’s rare to find someone who has absolutely no memories of someone who was important to them in their childhood, regardless of how difficult or traumatic the rest of that period may have been for them — and for those of us fortunate enough to have grown up in a happy, stable family unit, we almost certainly have a friend that we’ve known since a fairly early age; someone who knows us better than anyone else, and who we always trust to have our back. Indeed, Saria exemplifies this ideal almost to the letter; while we don’t get to see the exact circumstances of her and Link meeting for the first time, at the outset of Ocarina of Time, we’re led to understand that they have developed a close friendship over the years. Indeed, following the seven-year time skip when Link pulls the Master Sword from the Temple of Time, we learn that Saria was the only one to actually stand up for Link when he was believed to have killed the Great Deku Tree. Saria also knows that Young Link is different from her and the rest of the perpetually child-like Kokiri. Upon his initial departure from the Kokiri Forest, Saria sees him off and gives him the Fairy Ocarina as a keepsake, hoping he will return someday; Saria’s Song is also used throughout the game as an important means of demonstrating Link’s memory of both his friend and his past as a whole. 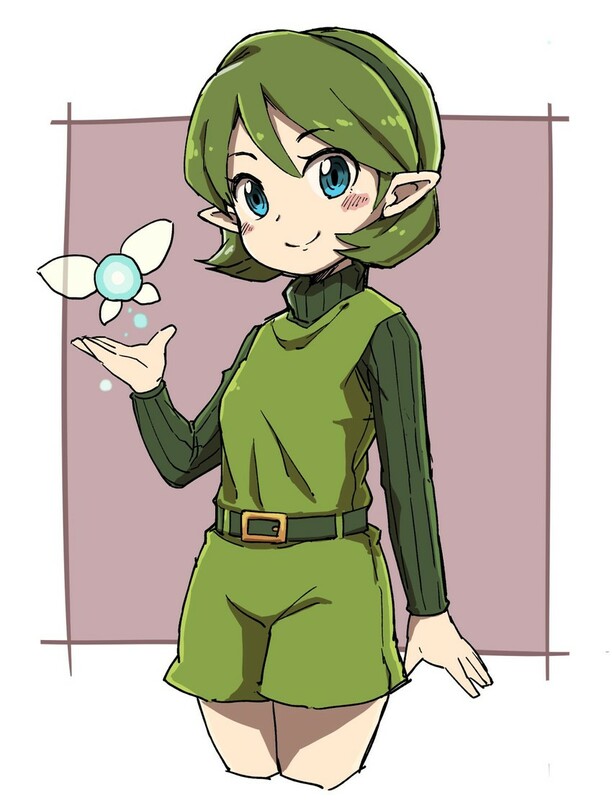 Saria, then, personifies that sort of close, intimate loyalty between longstanding friends who have always been important to one another, and always will be. She’s the one you can always count on in a pinch, and who you can pick up right where you left off with even after an absence of a number of years. A fine choice, for sure. However, she of course has some stiff competition. I have a confession to make: from my own perspective, I have a certain amount of bias here in that my own personal choice for who is “best” out of these two options is most certainly Malon. There are understandable reasons for this, however, given what I’ve already mentioned. But before we get onto that, let’s consider Malon on her own merits. Malon cuts an immediately striking figure in Ocarina of Time thanks to her frequently being seen singing Epona’s Song, a melody which she learned from her now-absent (possibly deceased?) mother, and which Link can subsequently learn to play on the Ocarina. Not only that, her flame-red hair and long white dress mean she has an immediately distinctive appearance, instantly recognisable even from a distance. 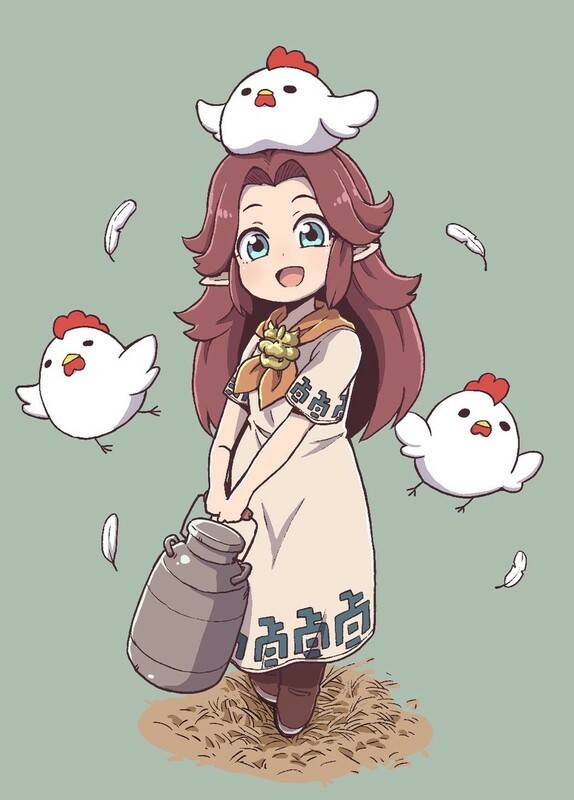 Malon is immediately endearing. She teases Link, calling him “Fairy Boy”, and her tone has an air of gentle, playful flirtatiousness about it. It’s immediately clear that there’s absolutely no malice in her heart whatsoever, both from the way she behaves and the care and affection she gives to the horses she looks after on Lon Lon Ranch. This feeling is only reinforced further following the time skip, after which we see her (exceedingly attractive, now with 100% less attached guilt) older incarnation still working at the same ranch despite the original owner — her father Talon — having been ousted by the wily and unscrupulous Ingo. Her reasoning for staying on? She feared Ingo would abuse the horses if she didn’t remain behind to keep a watchful eye on them — and him. Now, onto why I have a certain amount of bias towards Malon. I’ve already mentioned that my personal favourite Zelda waifu is Marin from Link’s Awakening, but there are a few connections here. Ocarina of Time was the fifth mainline Zelda game to be released, while Link’s Awakening was the fourth. Speaking in a developer interview ahead of Ocarina of Time’s release (translation here by Glitterberri), script writer Toru Osawa said that Malon and Talon were deliberately intended to be an homage to Marin and her father Tarin from Link’s Awakening. This is purely in design terms rather than the characters having a direct connection, of course, but it runs a little deeper than that. In terms of the delightfully convoluted overall Zelda series chronology (which absolutely positively has not been retrofitted over the years to justify the lack of coherence in the early years of the franchise, nosirree), the Dark Horse publication Hyrule Historia places Link’s Awakening a considerable amount of time after Ocarina of Time — long enough for the latter’s cast to be long dead. However, the Link of Link’s Awakening is the same “Era of Light and Dark” Link from both third game A Link to the Past and the Capcom-developed Oracle of Seasons/Ages duology. And another incarnation of Malon and Talon just happen to show up in Oracle of Seasons. Why is this relevant? Well, because according to Hyrule Historia, Marin and Tarin in Link’s Awakening exist because of Link’s memories of Malon and Talon. Because Koholint Island is a dream world, most of its familiar-seeming elements can be traced back to things in the “real” world (technically the broader Nintendo universe rather than just the Zelda world, hence the presence of Chain Chomps and “Mr. Write”, who bears an uncanny resemblance to Dr. Wright from the Super NES version of SimCity) and thus it’s not an unreasonable assumption that Marin “is” Malon. Or perhaps an idealised form of Malon in some way. Short version, Malon is Marin, and I love Marin, so as far as I’m concerned, Malon wins. Who’s your pick from this pair? In a post Hyrule Warriors world, I only have eyes for reformed Cia. 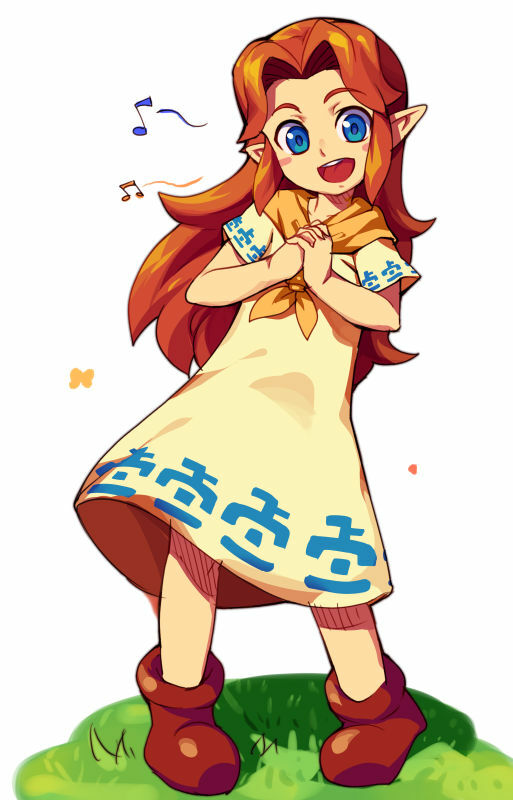 But seriously, Malon, it’s always Malon.